Maruti Ertiga is a hit in the Indian market as we all know, but gladly it is a blockbuster hit in the Indonesian market too. Post the launch of the car in Indonesia, it has been registering great sales but now the situation is almost the opposite of what it was a few months ago. Then the supply was continuous, though insufficient, but with the recent Manesar plant shutdown, Maruti Suzuki has been facing the toughest time ever and is not able to produce enough cars. Since the company is not producing much Ertigas, not only they are unable to supply enough units to the Indian market but have failed to export the car to Indonesia too. Insufficient exports have badly affected the car in Indonesia and the respective dealers are quite unhappy there. In short, the situation has worsened lately. Obviously the customers are losing their interest, but Suzuki has done something different which is keeping the prospective buyers interested and has given them a reason to cheer. 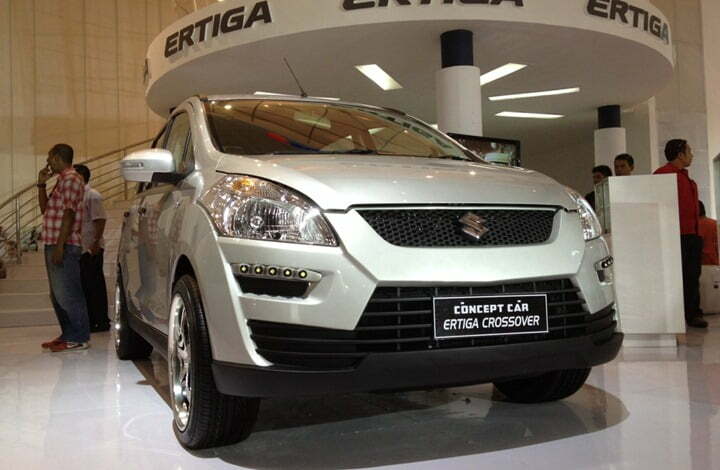 Suzuki has come up with an Ertiga Crossover Concept and showcased the same at the Indonesia International Motor Show (IIMS). 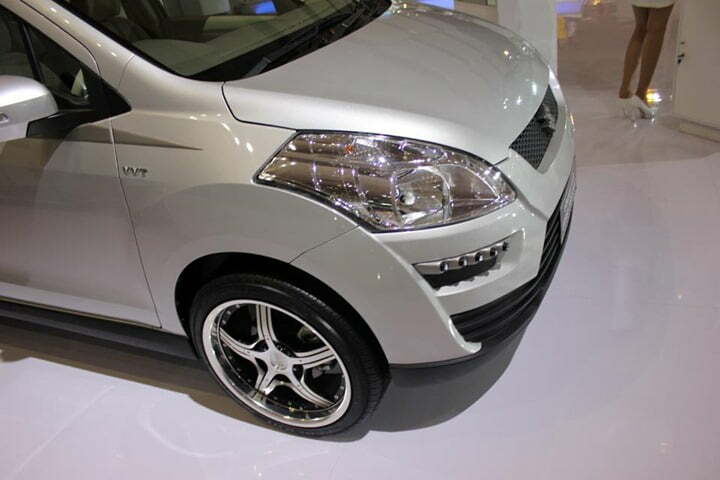 Sharing the stage with Ertiga Crossover was Ertiga Sporty, another concept car with mild cosmetic additions. These small additions make the car appear way more aggressive than the standard model Ertiga MPV which we see on Indian roads. Under the hood the car equips the 1.4 litre K Series petrol engine that is also available in India. Suzuki is pretty confident that the supply will pace up eventually and therefore it has already announced an automatic variant of the Ertiga for the Indonesian market. While visitors are quite thrilled to see these concepts, Suzuki has not said anything about the production of two. So disappointingly they could remain concepts for long time and may not hit the production lines soon. We will keep you posted on any updates on the Maruti Suzuki Ertiga Crossover, stay tuned.